Introduction and Notes by Dr Sally Minogue, Canterbury Christ Church University College. Jane Eyre ranks as one of the greatest and most perennially popular works of English fiction. Although the poor but plucky heroine is outwardly of plain appearance, she possesses an indomitable spirit, a sharp wit and great courage. She is forced to battle against the exigencies of a cruel guardian, a harsh employer and a rigid social order. All of which circumscribe her life and position when she becomes governess to the daughter of the mysterious, sardonic and attractive Mr Rochester. However, there is great kindness and warmth in this epic love story, which is set against the magnificent backdrop of the Yorkshire moors. Ultimately the grand passion of Jane and Rochester is called upon to survive cruel revelation, loss and reunion, only to be confronted with tragedy. An orphan who endures a harsh childhood, Jane Eyre becomes governess at Thornfield Hall in the employment of the mysterious Mr. Rochester. 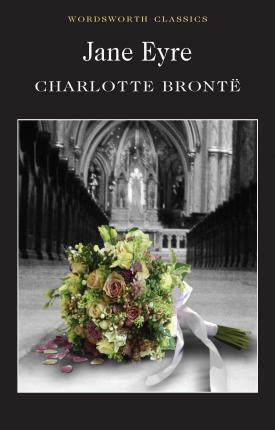 Jane's moral pilgrimage and the maturity of Charlotte Bronte's characterization are celebrated aspects of the novel, as is its imagery and narrative power. Rapidly reprinted following its first publication in 1847, Jane Eyre still enjoys huge popularity as one of the finest novels in the English language.